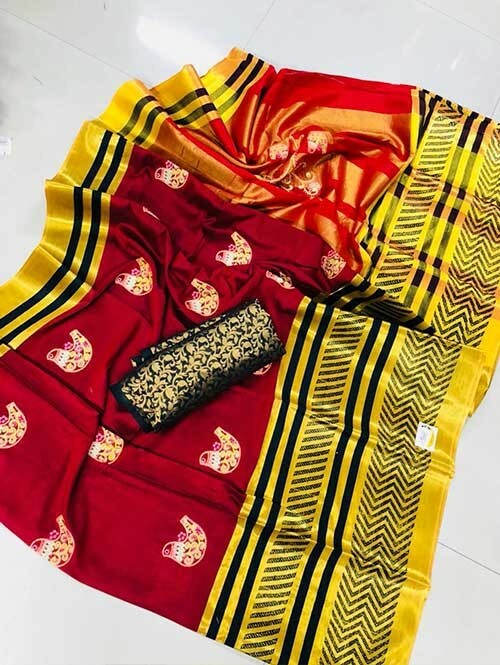 Look Stunning In This Latest Red Colored Beautiful Embroidered Pure Silk Cotton Saree. This Is Light Weight Material and it will Be Soft on Your Skin. 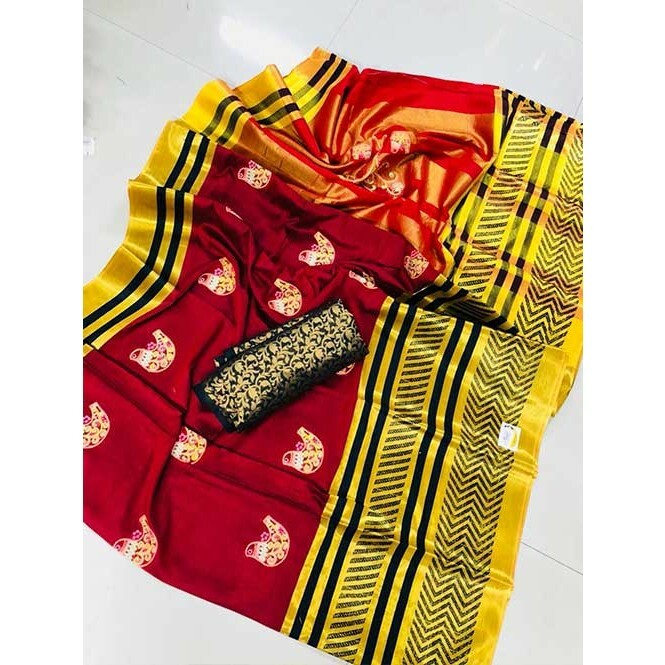 This Saree Can Be Best Teamed With Matching Sandals And A Clutch.